I recently managed to put my hands on some 10 years old wines from Spain and Italy that I look forward to open and see how they evolved. Last night I got to open and taste one of these bottles. All these wines were stored in the same place by the merchant for probably more than 8 years so the provenance was perfectly traceable. 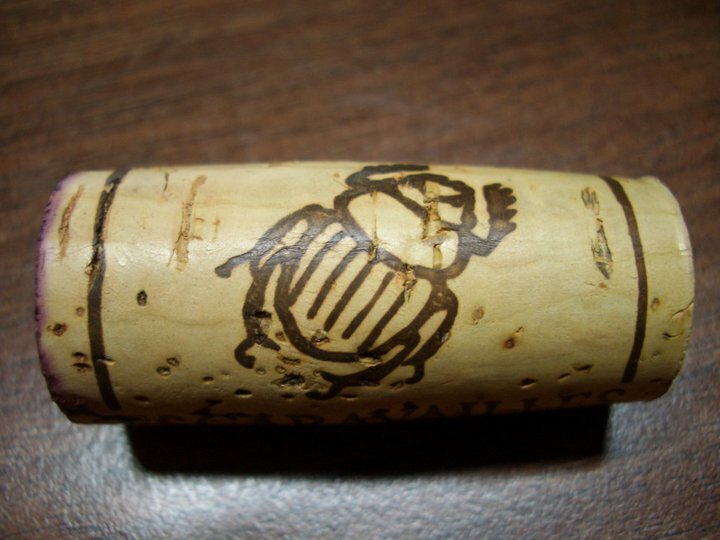 The bottles were full of dust and the labels with some scratches but all in all the corks at least on the top surface looked clean and in perfect shape. It was quite a challenge to open this bottle because the cork was covered by wine almost completely and I used a really bad tool during the process to uncork it. However after breaking the cork in two pieces I managed to take it out without dropping any parts in the bottle. Unfortunately I tasted the wine at a remote location and I did not have a decanter to pour the wine into it so the breathing of the wine took place only in the glass. For sure a proper decanting and 30-45 minutes breathing would have helped the wine more. The wine shows its age and the stage of complete maturity from the moment it is poured in the glass. It developed beautiful tertiary aromas still maintaining discreet fruit flavors. I enjoyed the wine a lot and I think that it should be consumed this year because the wine had its peak already and now is steadily going down. 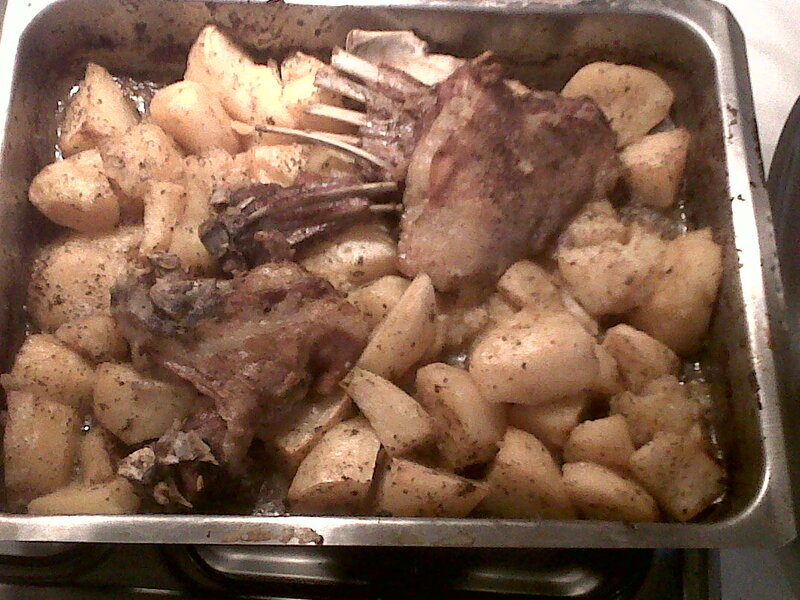 My wife and I spent another lovely evening on MON with our Greek friends serving a delicious home made dinner. 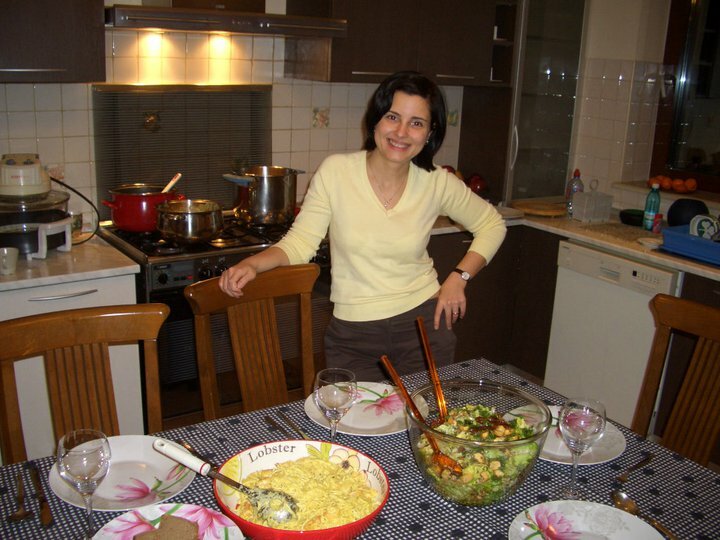 Christiana, our host, prepares by far some of the best dishes ever. I am her biggest fan. 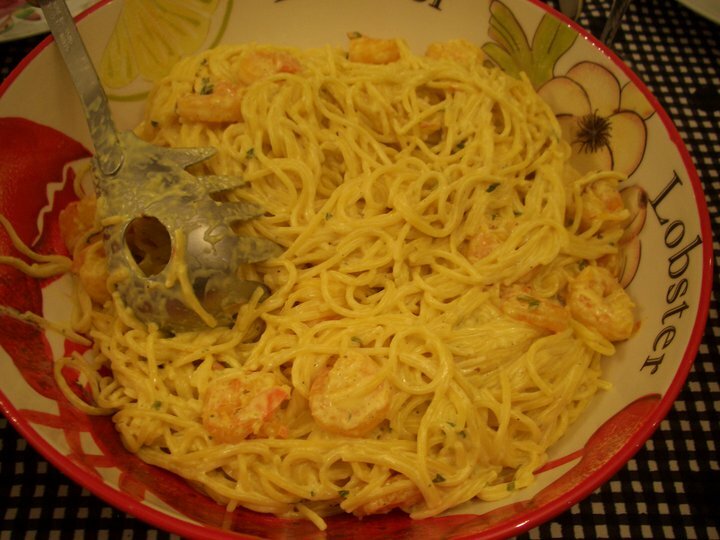 Last night we visited them with the clear and declared intention to learn her recipe of pasta with prawns in a champagne and saffron sauce. Unfortunately I was busy discussing wines and different stuff with the guys so it is my wife the one initiated in the secrets of the saffron pasta. 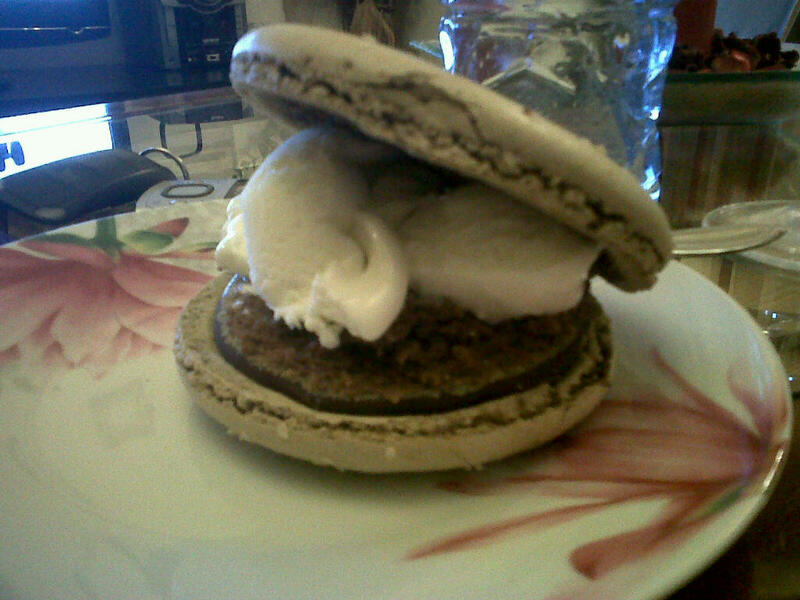 Therefore I cannot share with you the recipe. Yet. 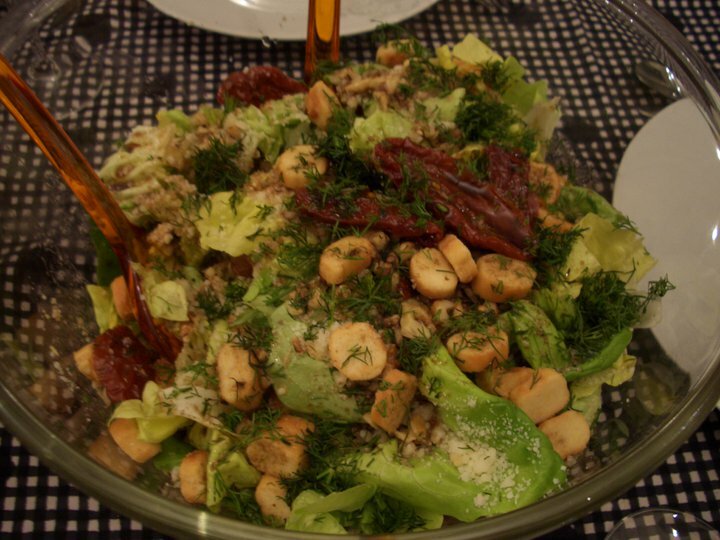 The food was extremely good with a very rich salad with dried tomatoes, sultanas, small toasted bread, green salad leaves, Parmesan, some herbs and a mix of honey, balsamic vinegar and olive oil. The pasta was even better. I have to admit that the wine we had this evening was a better match to the salad than it was for the pasta. The honeyed flavors in the wine were matched by the sweet sultanas and honey from the salad. The wine came into my possession from abroad and it is a white wine from Priorat, Spain. Priorat is a region/appellation close to Barcelona that is famous for its reds. The reds are usually blends of the same type of grapes as in the South of France: Grenache Noir, Mourvedre, Syrah plus some local and International varieties. 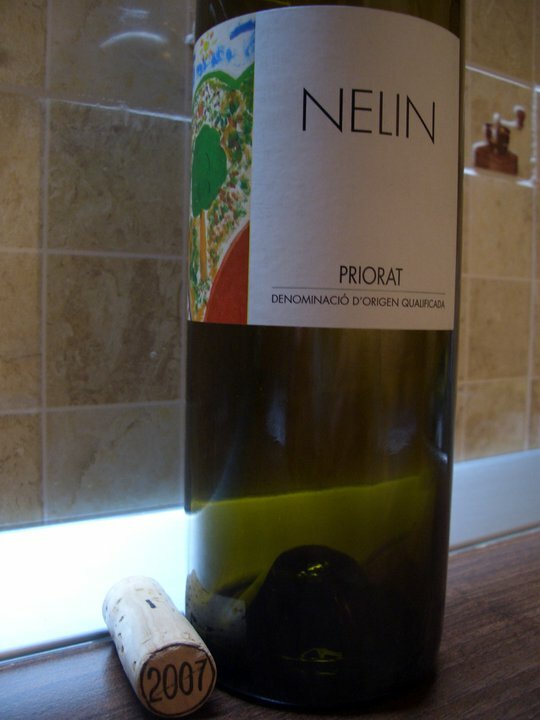 It is the first time I try a white wine from Priorat. I have to try more for sure. 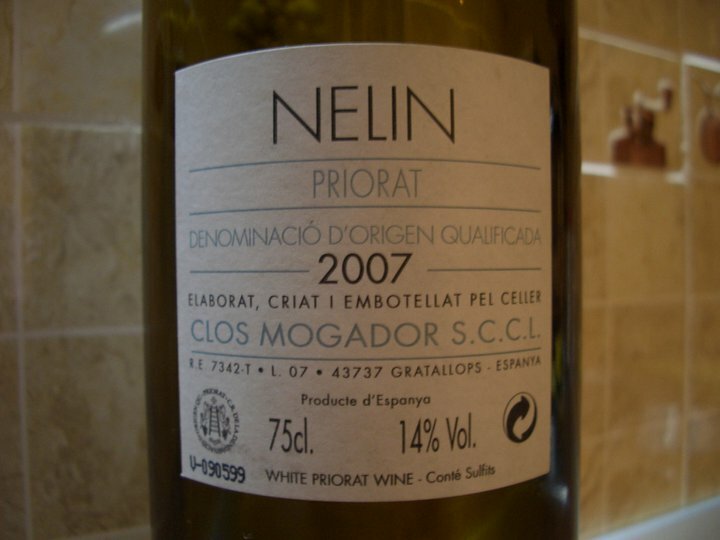 Produced by a well established and iconic producer from Priorat: Clos Mogador famous for its reds, the Clos Nelin, our wine for dinner is a blend of Garnacha Blanca-Viognier-Marsanne-Macabeo and Pinot Noir. Probably the Pinot Noir is vinified in white. I wonder if Recas wineries got their inspiration from Spain when they decided to make the Solo Quinta cuvee that uses also a red grape variety blended with 3-4 different white varieties. I know that their winemaker’s wife also makes wine in Spain in Rioja. That’s food for thought. A great and balanced wine with 14% alc that develops complex flavors served warmer at room temperature. We really enjoyed the food, the wine and the great company of our friends last night. Let’s hope every night will be like this. 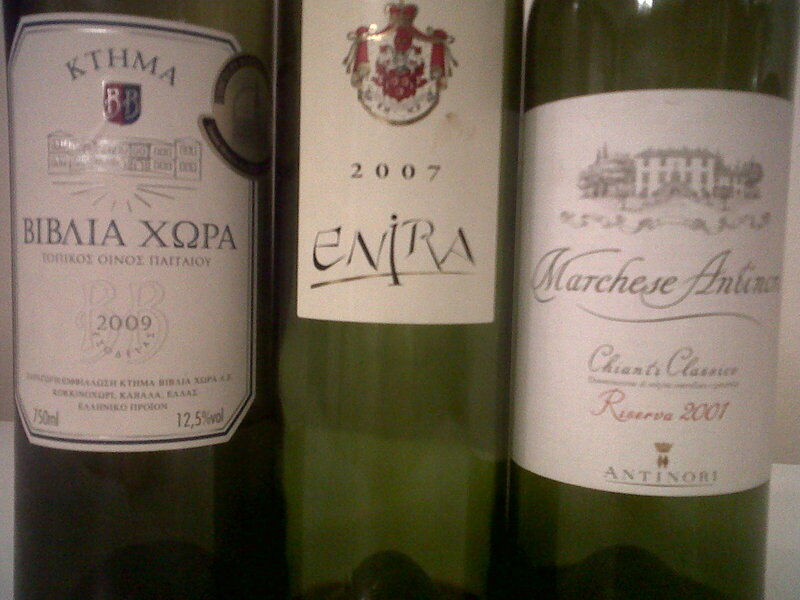 Last week was fairly rich in drank wines, especially as I did not attend any wine tasting. 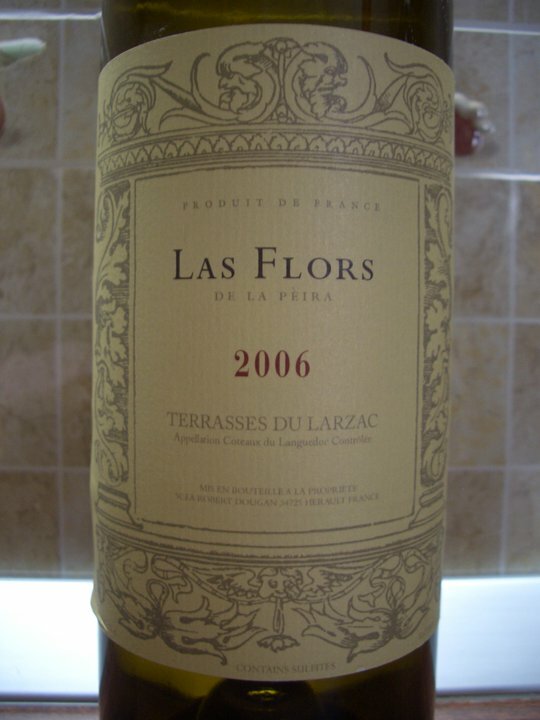 On THU evening, as I was making a brief inventory of some recently bought bottles in my cellar, I opened another 2006 Las Flors de la Peira. I did so to check if my initial tasting notes are consistent with another bottle tasted by itself. And they are.The first time I had the 2006 Las Flors was in a comparative tasting with a 2007 Chateau Puech Haut Clos du pic, a wine with a similar blend of Syrah-Mourvedre coming from very low yields. The Las Flors was so good that I ended up drinking the whole bottle by myself and this is a big thing as I usually don’t drink more than 0.375 ml of wine per meal at home during a regular working day, especially on a wine with a 14.5% alcohol level. On FRI I paid a visit to Calin at Le manoir and I had the chance to try two wines: a Chateauneuf du pape and a 100% Cabernet Franc from the Loire Valley. No photo taken with the bottle. 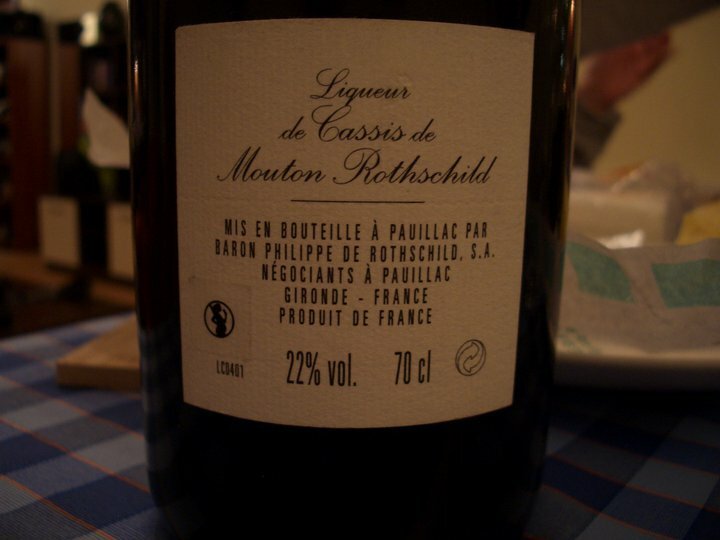 I was expecting more from a 2007 Chateauneuf du pape as the vintage produced some exceptional wines in the appelation and plus the producers of this wine are the owners of Chateau de Beaucastel – a highly sought producer. Still the wine surprised me by how well the alcohol was balanced and how vibrant and not heavy at all it felt. no photo taken so I used one from a different vintage found on the Internet. I heard some good things about the red wines from the Loire Valley, made 100% from Cabernet Franc. 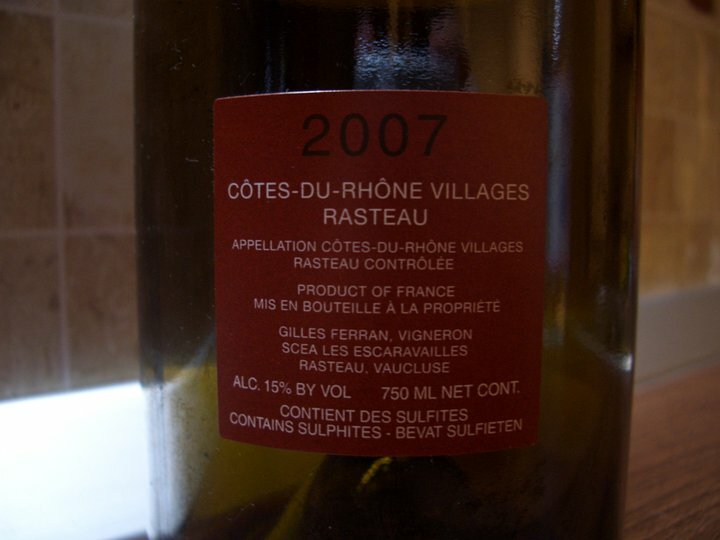 Usually the wines are really inexpensive and offer great value for the money. On SAT I had lunch with my parents so I brought a bottle from the cellar, this time a 100% Syrah from the Northern Rhone. My father loved this wine. He is the kind of person that he likes it or not, a pretty straight forward guy when it comes to wines. This wine comes from vines younger than 40 years old. 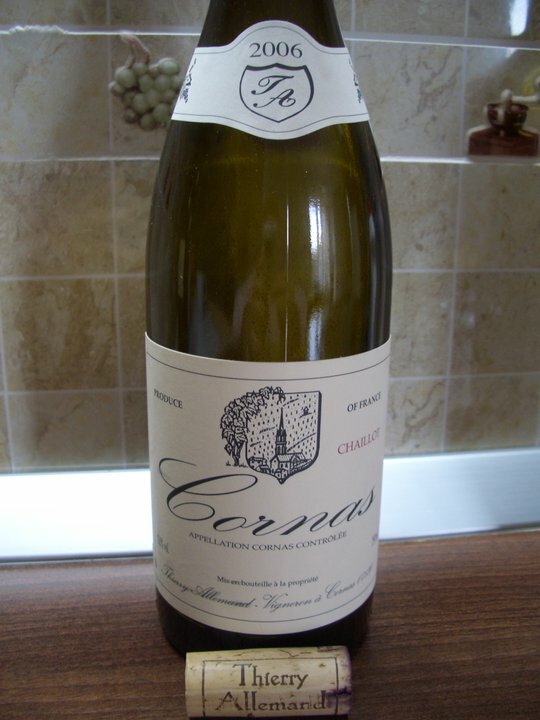 The top wine of this producer, the Reynard cuvee also 100% Syrah, is produced from 40+ years old vines. Both wines spend 18-24 months in French oak. This is such a beautiful and elegant wine and I am sure with aging in the bottle the wine will be more interesting and even more complex. I prefer this style more to the 2006 Las Flors. Later the same day with dinner I opened another bottle that I received as a gift from a friend. Frankly speaking I did not have too much expectations from this wine because 1992 was a poor vintage in Bordeaux and the wine comes from a modest generic producer from Haut Medoc. But it was a pleasant surprise. Red garnet with brick color on the rim. 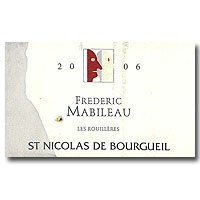 Aromas of smoke, spices and a little bit of earthy cassis make the nose. The wine has a light to medium body but with a pleasant mouth feel, with integrated tannins, no rusty or metallic flavors, finishing with a short spicy but pleasant aftertaste. Going on the downside but yet still accessible and very much alive. 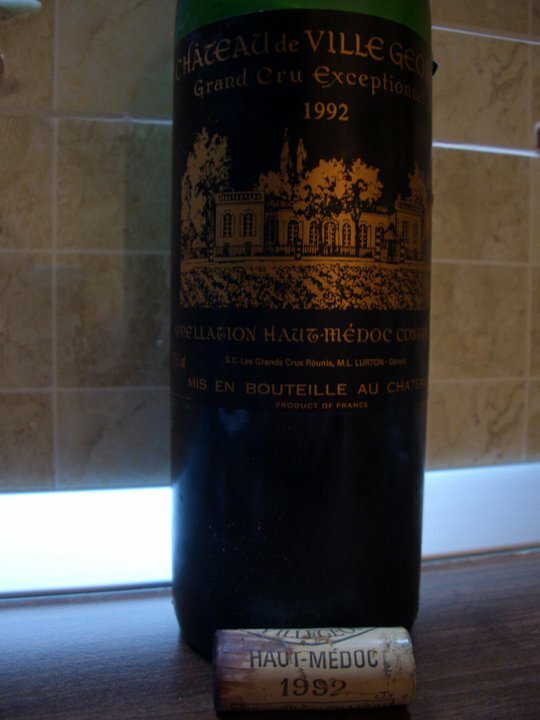 83-84 points for a 19 years old generic Bordeaux. On SUN my wife and I attended a 5 hours lunch with some good friends at Casa Mediteraneana in Herastrau park. It is a restaurant serving a combination of Turkish-Greek food. The eggplant salad with tahini is really good, the prawns with home made butter and pomegranate sauce are delicious and the barbecue simple but tasty. We tried two of the wines they had on the list. As I have visited Serve last year at the end of November I suggested to start the meal with their 2009 Terra Romana Chardonnay. As our friends like Davino the next wine ordered was the 2009 Davino Revelatio that went better with the cold appetizers and the buttered prawns. One of the persons at the table pointed out the 13.9% alcohol level and complained that the wine made an attempt to endanger his sobriety. Overall it was a good week on wines and socializing with good time spent with friends and family and some very impressive wines tasted – Thierry Allemand Chaillot and Las flors de la Peira both from the same 2006 vintage. Last SAT evening my wife and I were invited for a very pleasant dinner by our friends Anne and Calin to celebrate their moving into a new home. As Calin is one of the representatives of Le Manoir, the official franchisee for Comtesse du Barry and Fauchon in Romania, the dinner was filled with high quality products from Comtesse du Bary. I am not a consumer of preserved products in a can, but I have to say that what we served were really good. Calin told us a little bit about the way the products are made by Comtesse du Bary as he visited them several times in France and was also invited during those visits to work a few hours in the factory. They do this so their partners can see exactly how the products are made. The preserved foie gras is basically the duck or goose liver only with salt and pepper added, then the can is boiled for some time to destroy any potential bacteria. It is simply the same method our mothers and grandmothers use when they make home made compote for the winter. We sampled foie gras, different duck and goose with green peppercorn terrines, some dark skinned pig from the South of France terrines, Prosseco and Champagne based sauces and red fruits mixed with Madiran wine. Many of this products can very easily be taken as freshly made food. It seems while he was in Romania for shooting the second part of Ghost Rider, Mr. Nicolas Cage was a big fan of the duck products from Comtesse du Bary. 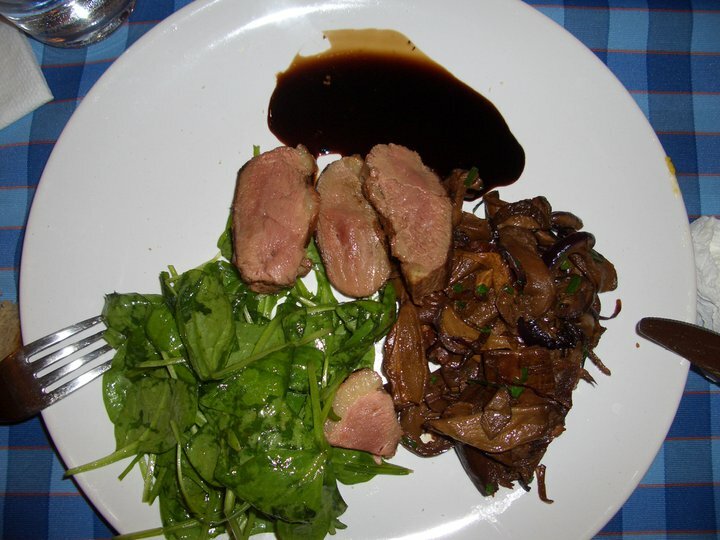 Just to stay on the same line the main course was rare duck breast with dried funghi porcini, baby spinach and arugula salad and a balsamic vinegar reduction. 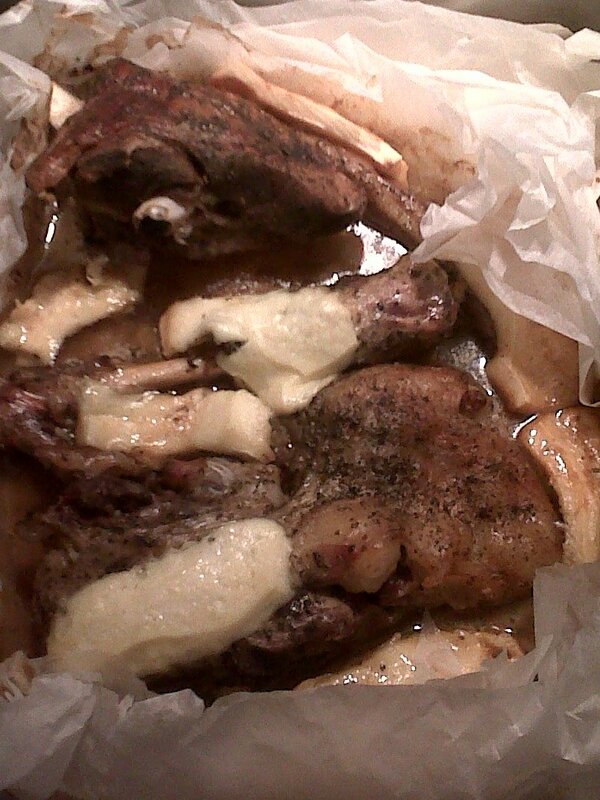 The foie gras went very well with the Pouilly Fume we had. 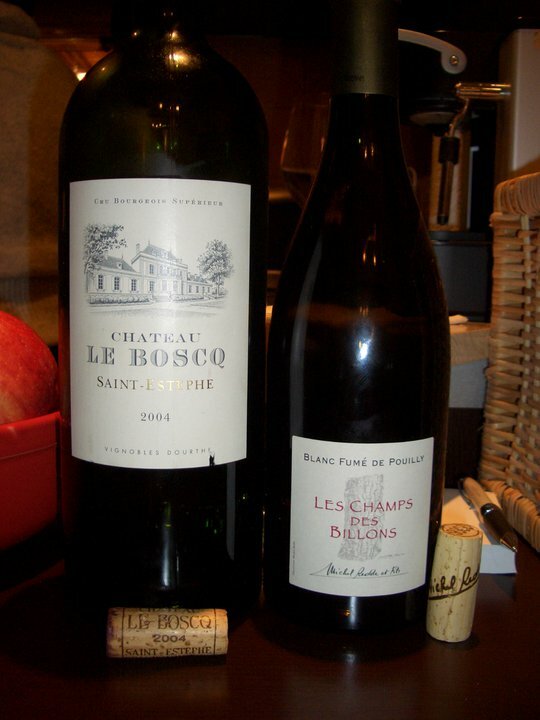 The duck breast was accompanied by a 2004 Chateau le Boscq from Magnum. 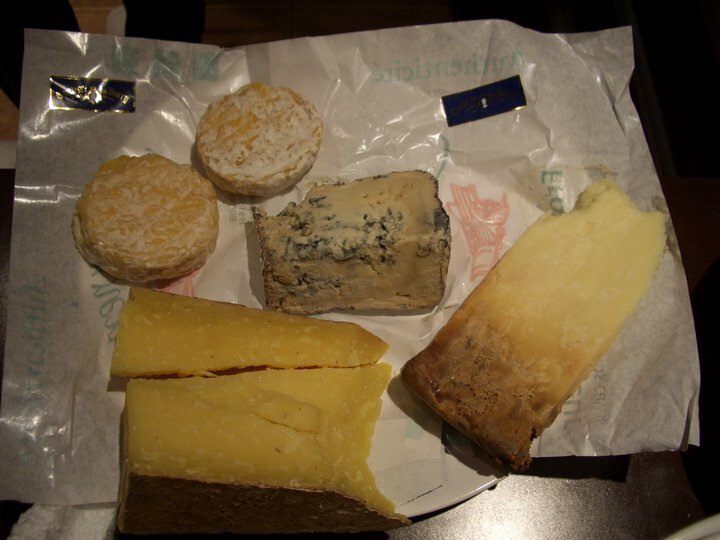 We also tried four different types of fresh French cheese imported weekly by Le Manoir. Unfortunately there wasn’t any more white wine left and we had the cheese only with red Bordeaux. I believe the white would have been a much better pairing for the cheese assortments. Nevertheless the experience was very interesting. 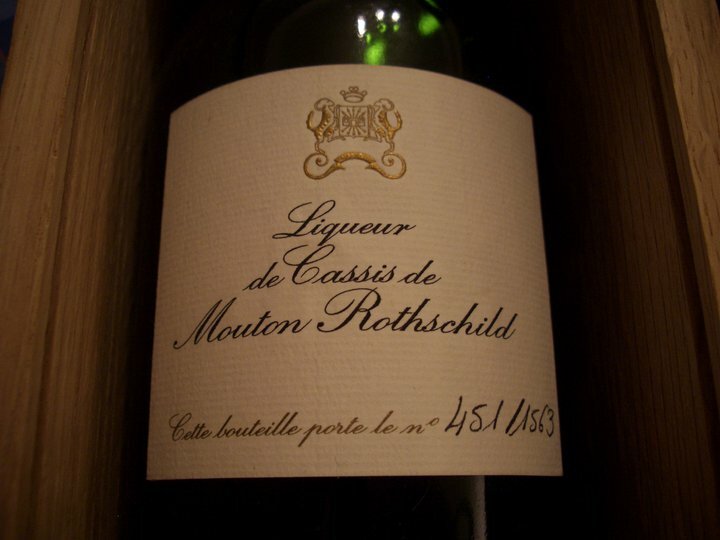 Just to finish the meal Anne was kind and offered us a great creme de cassis made by Mouton Rostchild in a very limited amount (only 1563 bottles made) from a bottle she received as a gift for her birthday a while ago. At only 22% alcohol this is a great drink and way to finish a tasty meal. Here are my tasting notes for the wines we had this evening. 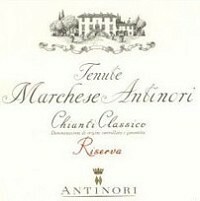 The same tasting notes were added on Cellartracker.com for these two wines. It was a very successful SAT night with plenty of good time and fun. 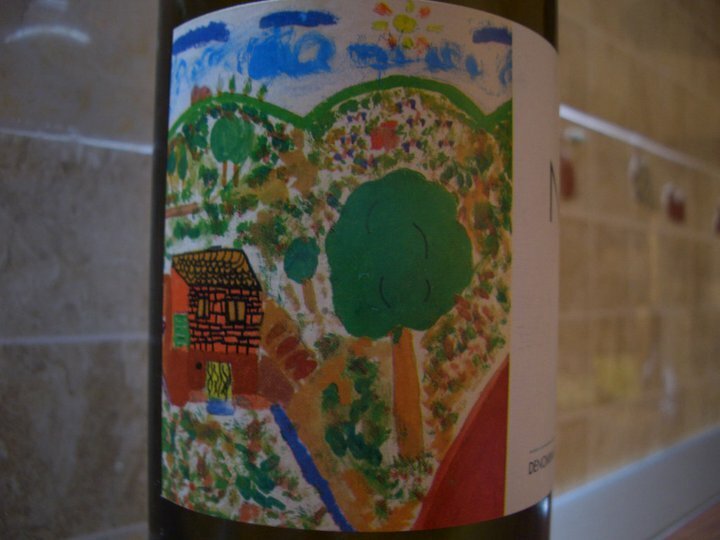 You can find the same tasting notes as on this blog but this time with rating points on a scale of 1-100 (to be more precise the scale starts at 50 and can go to 100 points – I really hope I will not drink any wine that I’ll have to rate 50-60 points). My postings will be made as cosmin_grozea. The main focus is to introduce ratings for Romanian wines that lack a presence on this International wine community and therefore to be introduced to foreigners through this channel. 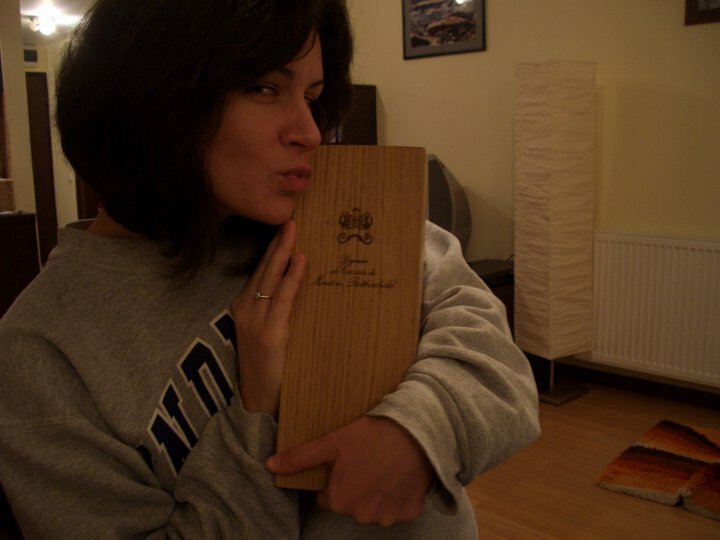 The first posts with Romanian wines were for 2009 Davino Revelatio and 2009 Theia Chardonnay from Cramele Halewood made on 01/07/2011. This wine arrived recently into my cellar from a merchant from abroad. 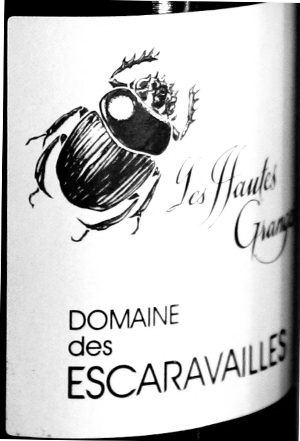 The Domains des Escaravailles in Rasteau (Cotes du Rhones Villages Appellation) is making some incredible high quality wines and their prices are not exceeding the 35-40 EUR range. This is a very serious producer that is worth seeking out. In Provencal, Escaravaille means beetle and the name of this domaine comes from the nickname given by the people from Rasteau in the 17th century to the monastic order called the “Black Penitents of Avignon.” This order worked the vineyards wearing long black cloaks and when seen from the village below, the monks looked like beetles scurrying among the vines. The wine has a red garnet color with a thick, oily appearance and plenty of legs left on the glass. The nose is complex, fresh with plenty of spicy herbs: thyme, sage, mint, pure strawberry aromas, kirsch and raspberries mixed with sweet spice. In the mouth this full body wine has a lifting acidity that creates tremendous balance, there is some heat but nothing disturbing even if the wine has 15% alcohol. A very silky mouth feel with very pure aromas of fresh red fruits, red cherry, strawberry, white pepper, chocolate and black olives. The finish is long with firm tannins hinting the great potential this wine has, with black olives, candied cherry and chocolate in the aftertaste. Excellent ripe and elegant wine. Beware that 15% alcohol even if this cannot be felt in the mouth. Your sobriety might be in danger. Pairing with food is mandatory and make sure to drink the wine at a lower(perhaps 14-15 Celsius degrees) temperature for a better appreciation.